At TheHealthyWeighOut, we believe it is time to teach our wonderful clients how to eat, not how to diet. TheHealthyWeighOut is not a traditional “diet” program, nor is it a temporary solution. Quite the contrary! TheHealthyWeighOut is an innovative, comprehensive three-pronged approach created to help chronic dieters, emotional overeaters and people who binge eat to end, once and for all, the diet-overeat-diet-overeat madness, allowing you to develop an empowering relationship with food, your body and your self that will bring true freedom from food and the healthy life and body you desire – for the rest of your life! At TheHealthyWeighOut, we know that it is possible to feel comfortable in your own skin, regardless of the number on the scale. We know that it is possible to live through life’s natural ups and downs without the need to turn to food for comfort, to reduce stress, or to reward yourself at the end of the day. And, we know that it is possible to find a way to engage in exercise that is enjoyable, not shame-provoking, and that eventually becomes a positive part of your life that you actually start looking forward to! Sound impossible? That’s what most of our clients believed, as well, when we first met them. After embracing our 3-pronged approach, however, their lives have forever been changed. Perhaps the first outpatient treatment program in the nation to combine the treatment of Emotional Eating and Binge Eating Disorder with HEALTHY Weight Loss, our program is truly blazing a new path by integrating the necessary, interrelated areas of Nutritional, Physical AND Emotional health with a healthy “no-diet” approach for long-term, sustainable results! EMOTIONAL: This component helps you to identify the many “whys” of your overeating behavior and helps you to learn more effective, emotional coping skills and behaviors so that you will no longer need to turn to food as your primary means to cope. We also explore and help you to understand how you learned to cope with food (likely from early age), and how to replace self-judgment with compassion and genuine empathy for your self. We also teach you how to appreciate and work with your emotional needs, as opposed to ignoring or dismissing important feelings and needs. NUTRITIONAL: Our Nutritional component is not just about learning how to read food labels and healthy portion sizing! To achieve sustainable behavioral change, it takes a seasoned combination of psychological and nutritional know-how to eliminate old problematic eating habits and to replace them with healthier, sustainable practices. We will help you understand the “how” and “why” of the interaction between nutrition, physiology and your emotions – and you’ll learn how to work with your body’s individual physiological make-up to decrease sabotaging food cravings and to actualize the healthy weight loss and behavioral change you desire! We also work with issues of metabolic changes due to yo-yo dieting, Type II diabetes care and education, and eating for fulfillment and not deprivation. Lastly, you’ll learn intuitive eating skills that will be the ultimate in helping you find freedom from food! 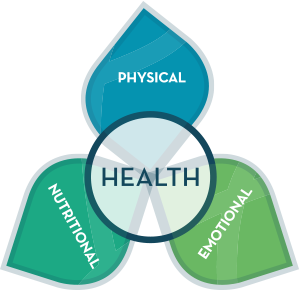 The 3-prongs of our TheHealthyWeighOut approach can be addressed in different ways, depending on your personal needs and preferences. 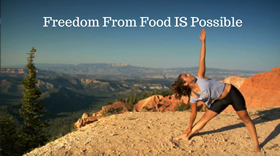 Join us for three educational and experiential workshops designed to introduce you to the foundational Emotional, Nutritional, and Physical fitness components necessary to find true, lasting freedom from food! Click here for more information about the workshops, and here for dates of upcoming workshops. Support your Emotional, Nutritional, and Physical fitness health with the many individualized services offered by our expert team of emotional and binge eating professionals: psychologists and therapists, a registered dietitian, and a personal trainer. Whichever approach best suits your needs, we are here to help!